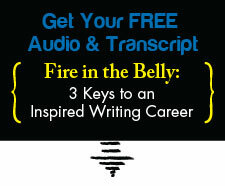 Fire Up Your Creativity: My Two Favorite Practices | Writing & Book Coach | Marla Beck, M.F.A. I like to think of my creativity as a living thing. When I intentionally care for and nurture it, my ability to solve problems, think outside the box and create beauty improves. When I tend to this living force inside me, my creative ability thrives! Watch today’s video for two very simple practices you can use to feel more open, spacious and creative. Next post: How to Feel More Alive Again.